Leckie took his 1st and 2nd CCs from junior. He was Top Sire of puppy winners in1989. 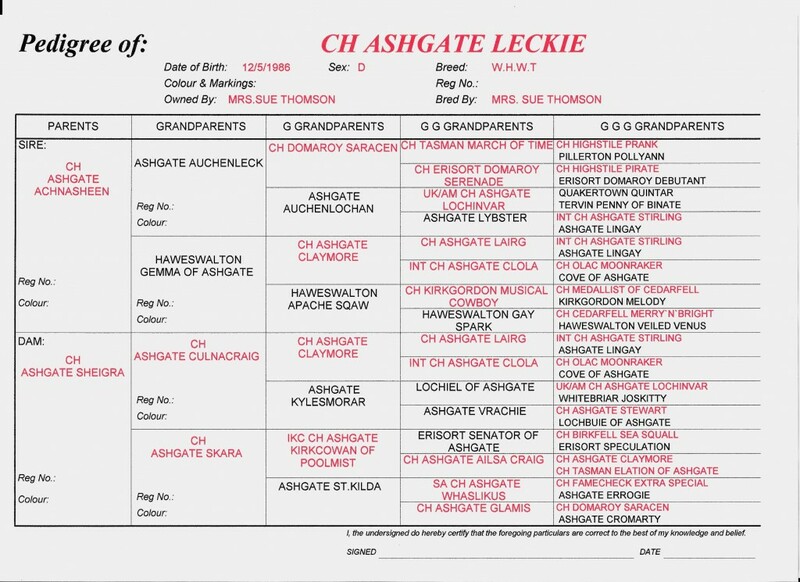 He is the grandsire of Sinclair through his CC winning son, German/Int Ch A Lenzie.